This is how the newest technology can work for us as travel planners! A YouTube search brings up a huge variety of results, some useful, some not so much. My favourite is Nice’s version of Pharrell Williams’ Happy! 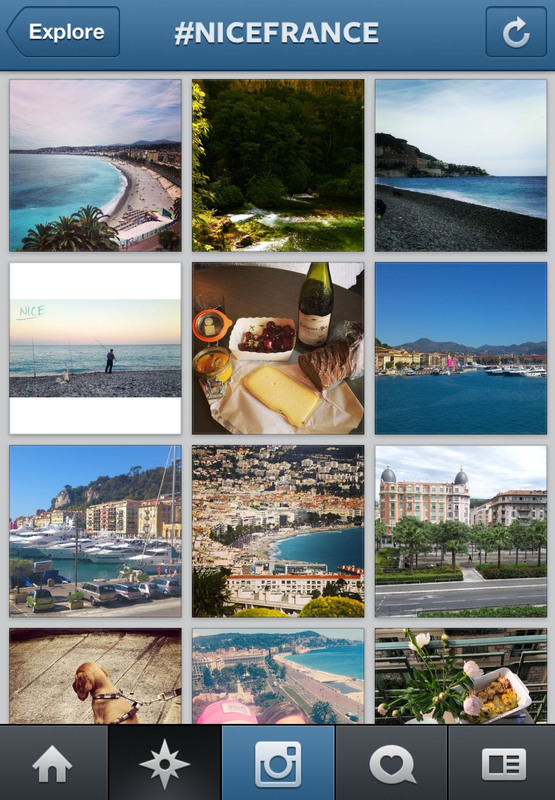 I did a search for Nice, France on Instagram and while there are many superfluous photos I did still get an insight into the beauty of Nice and the Côte d’Azur. A Twitter search also brings up a lot of surplus results but a look at some photos and tweets can give you an idea of what people are doing in Nice right now. Though I haven’t tried it yet it’s also possible to ask the twittersphere for tips on your chosen destination – just hope your followers retweet it to someone who knows the answer! I like Pinterest most of all. As above you can search for photos of Nice taken by other users but you can also save them to your own board or file under any title you like. This is especially great if planning for a trip in the distant future…you can always refer back to your boards. 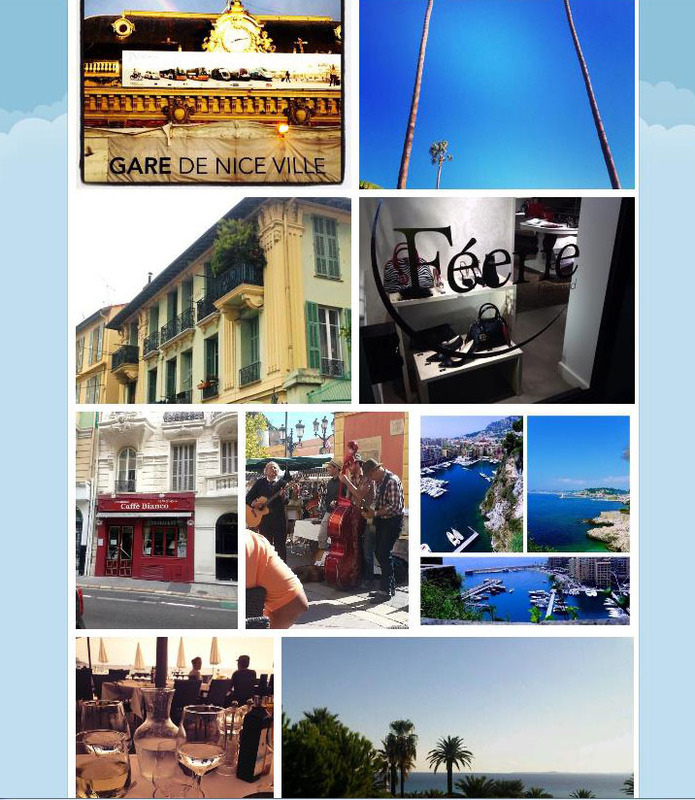 A visit to the Nice tourism site also revealed some apps specifically for Nice. I tried Nice Code app which has lots of information but is still missing a lot of attractions and the app for the Musée National Marc Chagall which is great but only in French! You can use it as an audio guide if you visit the museum. Other apps are TripIt, Triptease and Trover which I’ll be writing about soon! These are also available on desktop. I hope you too can use these kinds of resources in planning your next trip! What other resources do you use when researching a new destination?